Few days after being eliminated in EuroLeague, Maccabi Tel Aviv also suffered a loss in the Israeli League. 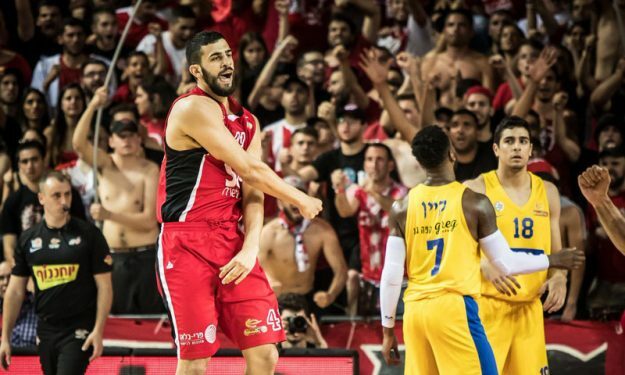 Hapoel Tel Aviv defeated archrival Maccabi Tel Aviv 85 – 80 to emerge triumphant in the Israeli Winner League Tel Aviv derby of Round 22 and last game for the two teams for the second out of three regular-season rounds. Matt Howard and Tomer Ginat created a formidable frontline duo for Hapoel with 20 (season-high for Howard) and 19 points respectively. They also grabbed 6 rebounds apiece. Tony Gaffney added 10 points. For Maccabi, that played minus Pierre Jackson and Artsiom Parakhouski, DeShaun Thomas scored 17 points while Michael Roll posted 15 points plus 9 assists. Norris Cole and John Dibartolomeo scored 12 points each. This result marked the fourth loss in the last five games for the “Yellows” in both EuroLeague and Israel. They remain second in the Winner League standings with 16 – 8. Meanwhile, Hapoel improved to 11 – 11 and climbed to the fifth place.